It’s August and we are officially back in school so that means that our homeschool morning basket is back in rotation! If you are unfamiliar with our morning basket, you should know this is how we begin our homeschool day. 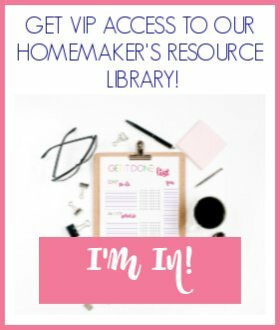 This is where I fit in all the extras I want to do with the kids that bring truth, beauty, and goodness to our homeschool. 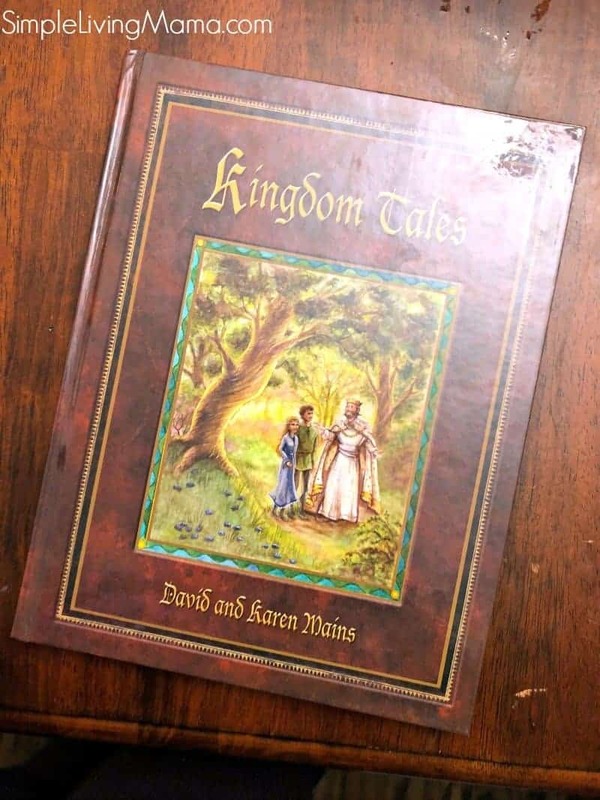 Here you’ll find our Bible, character study, memory work, chapter books or picture books I want to read to the kids, and a loop schedule of folksongs, artist study, composer study, hymns, and anything else I may want to add! 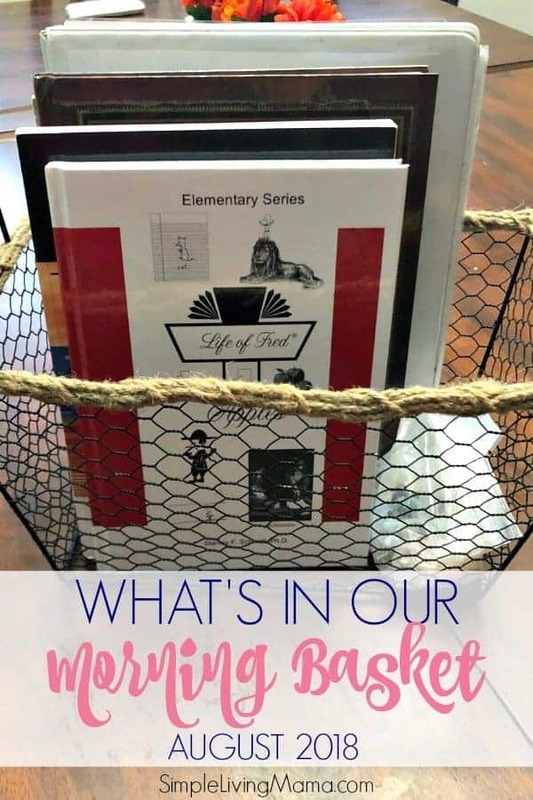 Without further adieu, here’s a look at our August 2018 homeschool morning basket! We are using My Father’s World suggestions for Bible this year, so our main books beside the Bible are Hero Tales and Window on the World. We are memorizing John 1:23 this month, as well as learning the location of several U.S. states on the map. Our current read aloud is Kingdom Tales per the suggestion of My Father’s World. I really like this book! 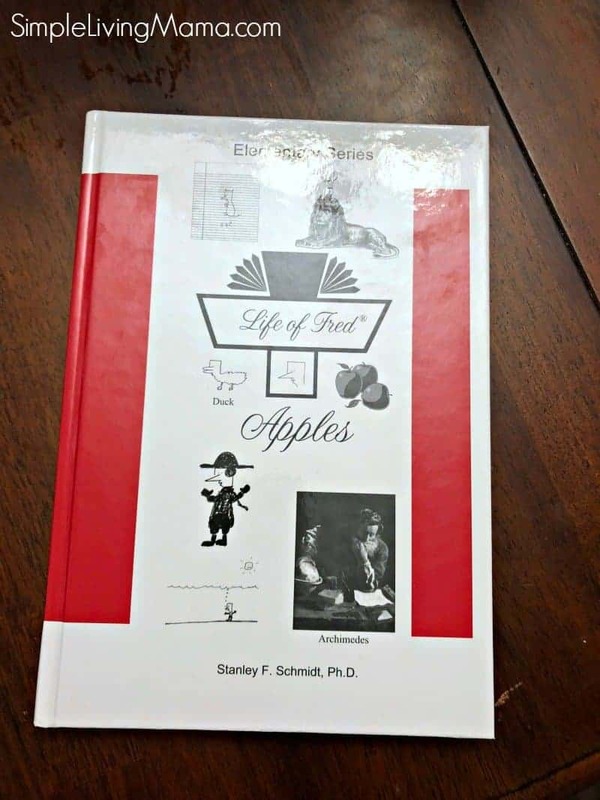 I have also added in Life of Fred Apples. The kids LOVE this. I do it with all of my elementary aged children. It gets their brains working first thing in the morning and its just plain fun! We work in a loop through the rest of these subjects that bring beauty and goodness to our homeschool. If you aren’t familiar with a loop schedule, we choose one or two of these to do each morning and then work on one to two more the next day or whenever we can get to them. I thought about assigning specific days to each subject, but sometimes things happen and if I don’t get to a subject on its assigned day the whole schedule gets messed up. A loop schedule means we will hit each subject! Our current poet is Walter De La Mare. I am reading through his selection available at Ambleside Online. We are still working through Song School Spanish. I aim to do one chapter per week. Our current folksong is The Green Grass Grew All Around. The hymn we are working on singing together is Children of the Heavenly Father. We are studying John Constable this term. Our current painting is Boat-building near Flatford Mill, 1815. Our current composer is Carl Maria von Weber. We are listening to his music per the Ambleside Online recommendations. I like to include things for my preschoolers and kindergartner in our morning basket. We always begin our time together with a calendar time. We sing the days of the week and the months of the year. We talk about the date and the weather. Here’s what we do together. 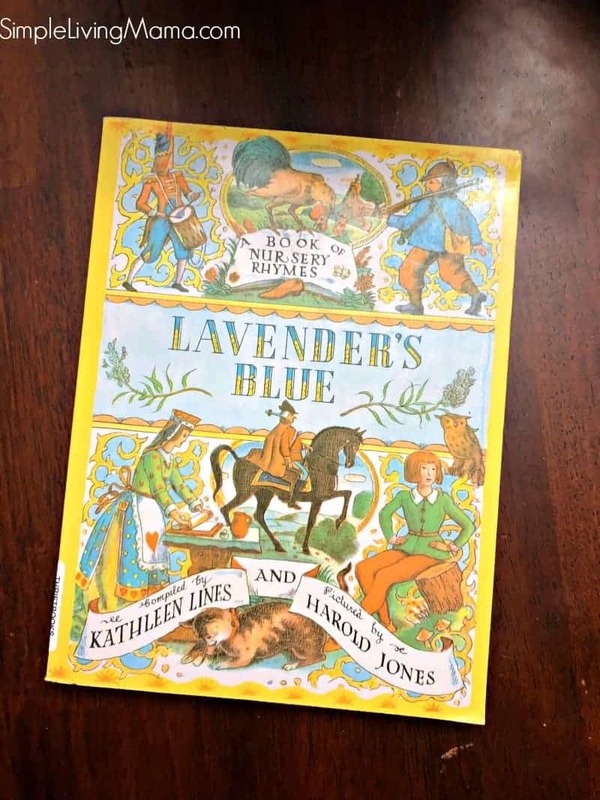 I do not have a specific nursery rhyme this month, but we are reading from Lavender’s Blue. I love to choose a virtue from our We Choose Virtues character cards to talk with the younger kids. I use coloring books often in our homeschool to occupy the younger kids while I’m reading aloud. Our current picture book is Corduroy. The kids have really enjoyed this one! And that’s it for our morning basket this month. 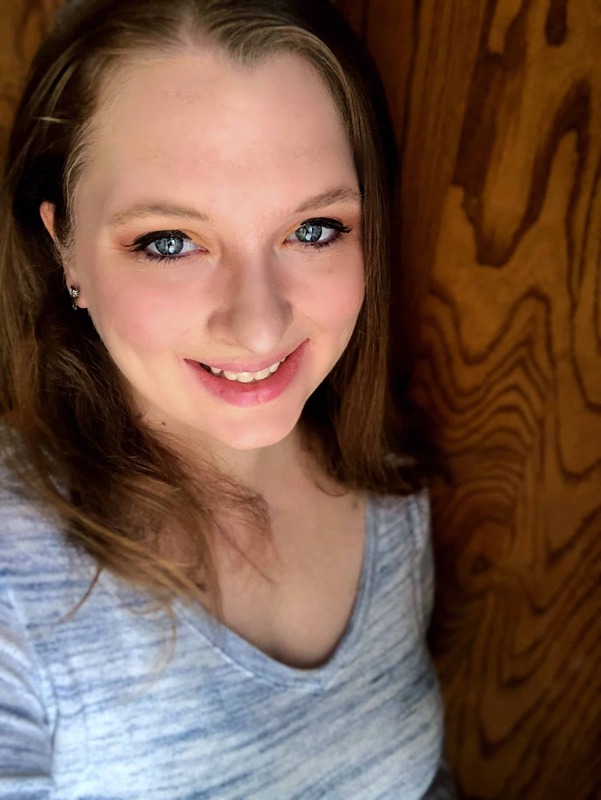 Be sure to come back next month to see what new things I’m adding! Love your morning basket. Life of Fred is something I have looked at a few times. How are you enjoying your new school year? It seems jumping back in takes some adjusting on our part. Our cirriculum, does not seem to be as fitting to my son as it was last year. Most of it he really enjoys, but not in the form our boxed cirriculum has it laid out. I am leaning into more of an intrest led learning rout and using the pieces to our boxed corriculum, but still nervous about setting aside that teachers manual/guide and giving it go. It seems like a security blanket knowing things are planned out and all tied together. How did you enjoy your studies between MFW guides? Sorry for the long post and many questions. I really enjoy the freedom of not having to follow the teacher’s manual exactly. It has actually lifted a weight off of my shoulders a bit and I am able to do things with my kids that they truly enjoy. I say go for it and give it a try. You can always go back to the teacher’s manuals if it doesn’t work out. This sounds lovely! What do you use to sing the months and days of the week? We just sing the days of the week to The Addams’ Family tune and the months of the year to Frere Jacques.